Discovery Channel: "Out of Egypt"
In my last post I linked to an article encouraging us to disconnect from mass media in order to maintain perspective. However, like everything in life, this cannot be seen as an absolute mandate, because their are a number of TV productions that are meant to be enriching for both the mind and even the spirit. Personally, my most regular TV viewing would be The Daily Show, The Colbert Report, Jeopardy!, The Simpsons, & South Park. The Discovery Channel, though, comes up with alot of series & specials that grab my attention, too. Earlier this week, I sat through a couple late-night hours of a new series on The Discovery Channel that is really excellent. The episodes I watched were "FLESH AND BONE" about relics of dead holy beings, and "SHAPE OF THE GODS" about the practical & sacred value of pyramids from around the world. What's great about the show is that it explores the theme of the episode from the context of many cultures and time periods in a way that is well-produced & fascinating to a polymath information sponge like myself. I would highly recommend watching the video clips & 'tuning in' to the show for a potpourri of great information about ancient cultures like the Egyptians, Mayans, Tibetans, etc./ religion & the occult/ social customs throughout the world / and an engaging hostess. The only criticism I can speak of is that, as a traditional Egyptologist, Ms. Kooney asserts the narrative that the Great Pyramid of Giza was a burial chamber for King Khufu. 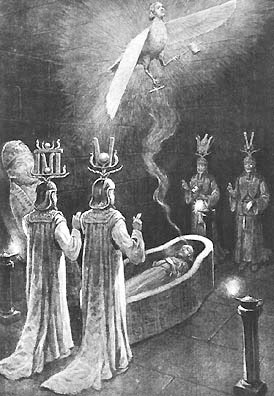 Through the study of secret knowledge passed down through the ages, I have determined that the Great Pyramid was actually an initiation complex scientifically designed to facilitate transcendent spiritual transformation. Long Live The New Frequency"
I have already addressed the "Meaning of Life™" & recently saw the Dalai Lama's own excellent response to this idea that our lives have some ultimate "purpose." 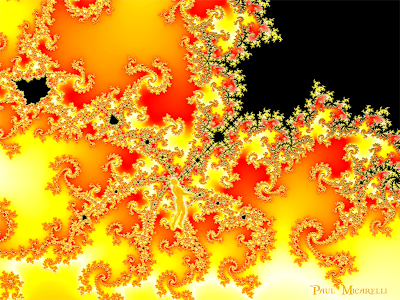 To avoid over-simplifying the problem, he splits it into an ultimate aspect and a practical aspect. • "On a deeper level, I DON'T KNOW..."
• "but the immediate purpose of life is EXISTENCE!" This is simple, penetrating wisdom that is one of the reasons I consider the Dalai Lama a major influence on my own views. Some may find those answers to be totally obscure, but it is as close as human language can get to the essence of the situation. Of course, like any religion or sect, there are sides of Buddhism that can be considered 'dark', but these aspects of life can be understood & sublimated like anything else. "The Shadow of the Dalai Lama"
I was actually wondering about the whole idea of labeling 'time' recently, & I saw a link about it on Neatorama. Meanings of the Names of the Days"
You learn in school that the days of our week are named after Roman & Scandanavian gods. However, for some reason, the entire concept of having these periods of time named after ancient gods started seeming strange, like I was thinking about the cyclical Mayan & Aztec day glyphs. Our perceptions of time and the descriptive terms such as days, seconds, weeks, etc, are taken for granted, but really have a huge influence on every aspect of how we experience life. This is pure ridiculousness that I saw on Monochrom. I really wish there were horribly translated subtitles, though. I read that today is Left-Handed Day. Although I grew up writing & drawing with my left hand, when I went to in college all the computer lab mouse pads are set up on the right side of the computer, so I just adapted to using my right hand. Now, as a professional, I still always use my right hand for the computer mouse, but write & draw w/ the left. So I've evolved into ambidexterousity. 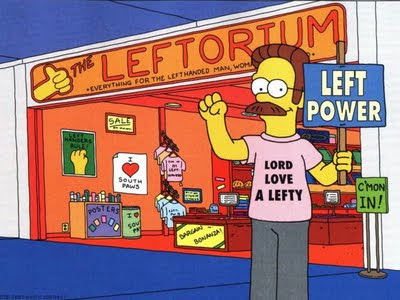 On the one hand I was reminded of Ned Flanders's wacky store of left-handed products. On the other hand, I've also always been curious about the reasons for the sinister connotation of the left hand. I always felt that being left-handed was unique in a cool way. My great former physics teacher & personal Obi-Wan sent me this excellent video about Hubble's mind-blowing imaging of deep space. if your rational mind is functioning at all, then you weren't paying enough attention! 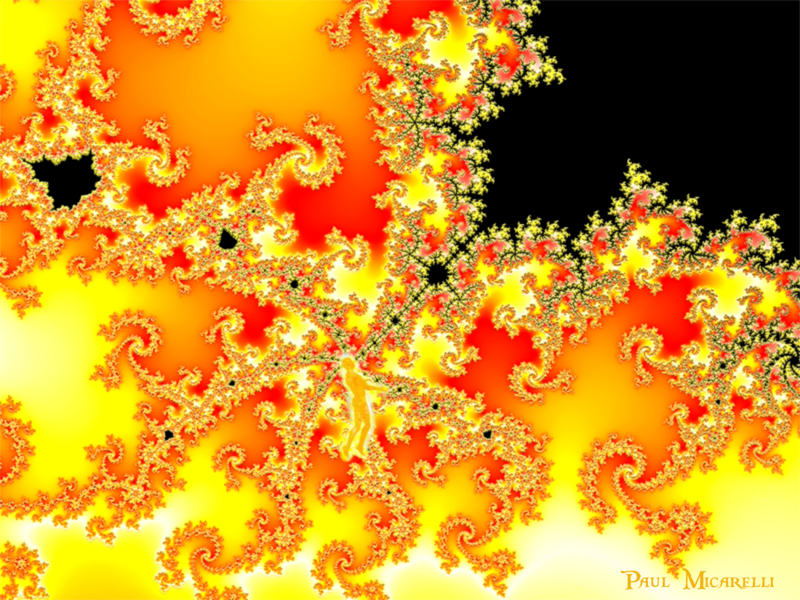 Ultimately, from ....quarks > particles > atoms > the perceiving human mind > star systems > galaxies > universes.... reality appears fractal. My brother saw G.I. Joe and liked it. I'm not too interested in seeing it, but I used to love the toys & the TV show when I was a kid. My parents had a yard sale this past weekend & in cleaning out the attic, we pulled out boxes of G.I. Joe stuff that made up a big portion of me & my siblings toy collection. Especially being mostly a toy & game designer now, I can appreciate how cool those action figures and vehicles were. Anyway my friend sent me this video full of hysterical cameos & overall silliness. The costumes & obscure references are really well done, though. One of the many websites I visit for interesting stories & information is called "Reality Carnival". Its is simply a list of thought-provoking sites by author Cliff Pickover. between prime numbers and quantum physics." Besides Reality Carnival. it is worth noting that Mr. Pickover also has other cool websites like "The Galactic Question Center " & the wonderfully eclectic "The Wikipedia Knowledge Dump". Seeing The Galactic Question Center makes me think that I should let people "Ask The Monkey Buddha" the pressing questions humanity faces. However, that would imply that I actually know about everything.... & I know that's not true. the Most Trusted Man in America? 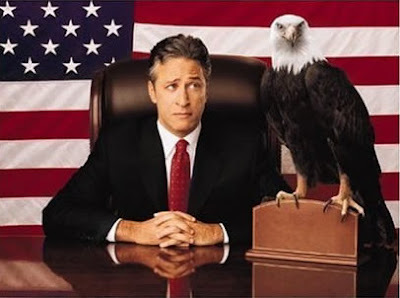 The Daily Show & The Colbert Report are the only shows that I try to watch every night. I almost never watch the network news, and I'll change the channel if the cable news is airing what I consider to be worthless content. The world we live in is often absurd & approaching the news from a strictly serious, respectful angle only gives a false sense that the many clowns (<Warning: Clicking here may cause nightmares) in public life are "serious" & should automatically be given respect. I was never under the illusion that remnants of America's collective "Bizarro Bush" mentality (or lack thereof) would completely disappear after the last election. Unfortunately, life is messy & there will always be countless disagreeing viewpoints that may seem crazy to other people. I try to balance on that tightrope of viewing things from a cosmic, Dr. Manhatten-esque perspective, while always simultaneously trying to internalize the endless practical "real" concerns of humanity. I've always considered myself someone who appreciates wisdom, integrity, humor & creative thinking. That's why when people like the 'birthers' or 'health care rabble-rousers' come to my attention, my overwhelming instinct is to think, "these ignorant fools are focusing their anger in the totally wrong direction." Not to say that Congress, or even Obama, shouldn't be taking heat for their decisions. However, people freaking out about "Socialized Medicine!" just end up seeming like disruptive shills for Big Insurance & Pharma. Those are the only players with a stake in maintaining the status quo of an immoral & impractical profit-based health care system. In a way, it is good for elected officials to see The Mob passionate & pissed off... but not if it only serves to prevent intelligent dialogue and problem-solving from taking place by shouting ideological talking points. The hysterical, ridiculous woman at the end of this clip whining about Obama's birth certificate & "getting her country back" made me want to smash my own head in. When she started screaming the Pledge of Allegiance along with the rest of the hollering f*cktards, I realized this was truly DEMOCRACY™ in action. In the age of Youtube, any emotionally-charged ignoramus can made his/her completely misinformed opinion be heard by millions! God Bless America! It's all good though- because like I said, life is messy, & there will always be arguments until we are all subdued into "The Collective". It's better for people to be able to have a voice, as long as there are also other voices that can all variously dispute, agree, or state their total indifference. These "town hall" events, though, are starting to seem more like the Sarah Palin hate rallies. Even if somehow there was a vast conspiracy to cover for 'Barry the Manchurian Candidate', I don't think that screeching wig-wearing freakazoid would've been the one to uncover it. Besides, after her 'Kenyan Birth Certificate' has been proven to be a truly inept forgery, Ms. Taitz has hightailed it back to Tel Aviv, Israel. Perhaps she knows her remarkable hackery is about to turn into a splattering shitstorm, or perhaps she is the Mossad's worst agent provocateur ever. Whatever.... let the idiocy continue. It makes me feel like an enlightened genius watching people get worked up about the latest FoxNews-driven outrage. By calling Barack Obama, the mixed-race President, "a racist"- he outdid that bonehead Sean Hannity by saying the most obnoxiously, astonishingly idiotic turd of verbal crap I've experienced in recent memory.